When it comes to exposure to hazardous chemicals, children are not just little adults. “Children are more vulnerable to environmental hazards,” states the Pediatric Environmental Health Specialty Unit, a subcommittee of the American Pediatric Society. “They eat, drink and breathe more than adults on a pound for pound basis.”(1) This means children are proportionally more exposed to toxins in air, water and food. In areas of unconventional gas development, children are exposed to multiple industrial toxins, through air, and potentially through water and soil. Yet children’s health remains one of the many unexamined issues of this contentious industry. Shale gas development creates a widespread network of open-air industrial sites. Well pads can be located close to rural and urban communities. In Pennsylvania, more than 3,000 gas fracking wells and permitted well sites were identified within two miles of 320 day care centers, 67 schools and nine hospitals, and the industry was still growing. Not only are children proportionally more exposed to toxins, children’s immature bodies are less able to metabolize some toxic substances. This means children are more vulnerable when they are exposed. 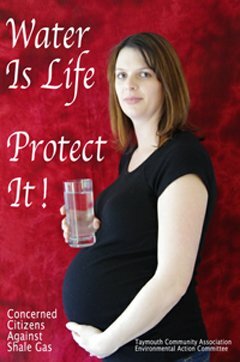 Young children and babies in the womb are especially vulnerable. In these early stages, children go through critical periods of development when even small exposures to toxins can result in serious, lifelong harm. In Pavillion, Wyoming, a three-year Environmental Protection Agency (EPA) study documented that 10 chemicals used in fracking were present in the town’s aquifer. Those chemicals included benzene at 50 times the level considered safe, as well as phenols, naphthalene and traces of diesel fuel – all of which are carcinogens. Other toxic chemicals including toluene, a nervous system toxin, were also found. 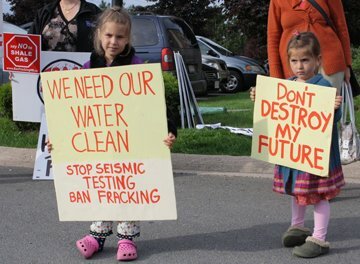 Children are also at risk from exposure to airborne toxins generated at many stages of shale gas extraction – including drilling, fracking, leaks from condensate tanks and pipelines, wastewater ponds, and the ever-present 18-wheelers. Benzene is one of the air pollutants frequently found in areas with shale gas development. It is released from flaring gas wells, condensate tanks, and wastewater storage ponds. Benzene is a known carcinogen. 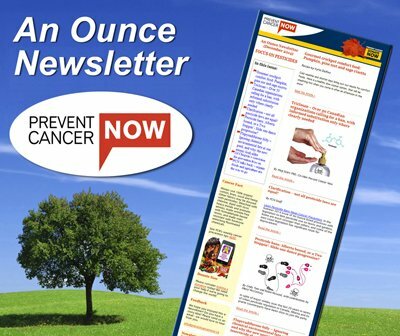 Exposure to benzene during pregnancy has been shown to increase rates of childhood leukemia. In Dish, Texas, air sampling found benzene at levels up to 55 times higher than allowable safety levels. In Colorado and New Mexico, citizen air sampling documented high concentrations of benzene in four of nine air samples, according to Gassed: Citizen Investigation of Toxic Air Pollution from Natural Gas Development. Benzene was found at levels 48.5 to 800 times higher than the US EPA level used to estimate increased cancer risk from long-term exposure. One sample was collected outside an elementary school in Durango, Colorado. Benzene is also a blood and nervous system toxin. The Gassed study also measured acrylonitrile, a carcinogen, in five of nine samples, ranging from 790 to 3000 times above the U.S. EPA level for increased cancer risk from long term exposure. All levels corresponded to what the EPA would consider an “unacceptable cancer risk.”(3) Acrylonitrile is also a respiratory toxin. Shale itself contains toxins – including benzene, radioactive elements such as radium 226 with a half life of 1600 years, and heavy metals, including lead, uranium, and arsenic. Fracking releases toxins from the shale, generating millions of gallons of newly toxic and radioactive wastewater as well as tons of toxic and radioactive sand and mud. These waste products often remain in open ponds or piles for years, releasing volatile compounds into air, and with the potential of leaching water-soluble toxins into surrounding soil and waterways. Each of these toxins poses risks to children’s development and health. Waste ponds also contain fracking chemicals, which return to the surface with the waste water. The chemicals used in fracking fluids include respiratory toxins, carcinogens, immune system toxins, and endocrine disruptors. Endocrine disruptors are of particular concern to children’s health. Infants, children and developing fetuses are the most vulnerable to exposure to endocrine disrupting chemicals. Exposure at these critical stages of development can affect fetal growth, reproductive tract development, pubertal development, neurodevelopment and obesity. Research from Dr. Theo Colborn(4) indicates that 40% of chemicals in fracking fluids are endocrine disruptors, both volatile and water-soluble. Heavy truck traffic – estimated at 2,400 truck trips per frack per well(5) – as well as drill pad machinery generate large quantities of diesel fuel combustion products. Diesel combustion products have multiple health impacts. Pre-natal exposure to diesel fuel combustion products is a known risk for low birth weight. Low birth weight is a major indicator of child health, and is associated with multiple health and learning issues throughout life. In Texas, the hospital serving the six intensively drilled counties in the state recorded asthma rates three times the state average. “It seems highly likely there will be impacts on children with asthma that lead to hospitalizations, lost school days and higher health care costs,” wrote the American Lung Association in a submission to New York’s review of hydraulic fracturing. 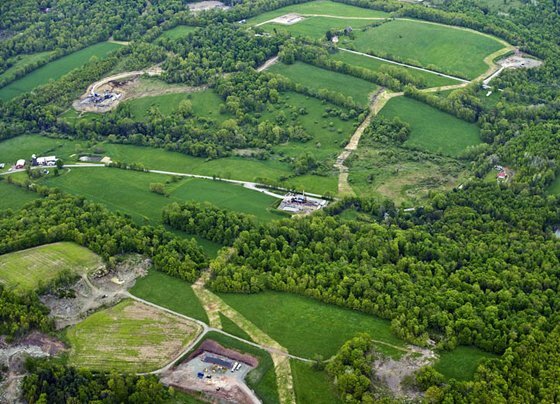 There are few studies, and no hard answers, to determine exactly how much risk there is to children or adult health from shale gas development, but the risks appear considerable. A 2012 peer-reviewed study by researchers at the Colorado School of Public Health(8), found that residents living within half a mile of a gas well faced 66% greater cancer risks than residents living farther away. They also found a 150% increase in non-cancer risks, including neurological, respiratory and developmental impacts. Children’s environmental exposures are becoming increasingly recognized as potential contributors to a range of diseases. “We know now that children may have genetic vulnerabilities for such conditions as autism, brain cancers and other chronic diseases, but that environmental insults can trigger the onset or progression,” says pediatric neurologist Dr Maya Shetreat-Klein, assistant clinical professor of Neurology at Albert Einstein College of Medicine. Noise pollution may seem like a minor impact, but noise from drilling 24/7 is an additional risk to children’s health and ability to learn. The World Health Organization labels noise pollution “not only an environmental nuisance, but also a threat to public health.” Noise pollution has also been shown to negatively affect academic performance. Environmental exposures are involuntary exposures. Parents living in an area with shale gas development cannot protect their children from exposure to multiple airborne toxins, or from other exposures stemming from the industry. Barb Harris is a writer and researcher with a special interest in environmental toxins and human health. Over the past year, she has focused on the potential health impacts of shale gas and fracking. She is co-author of the on-line Guide to Less Toxic Products, and a core member of the Environmental Health Association of Nova Scotia (EHANS.) She lives in River John, Nova Scotia. Let’s study the health impact of the Tar Sands too! Donate to PCN – We need you! Please take 2 minutes and complete our readship survey!